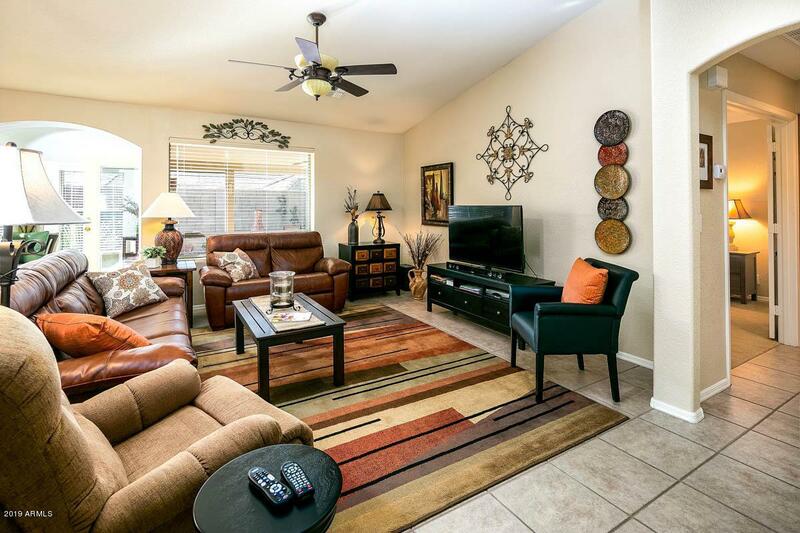 Stunning two bedroom two bath home with den in active adult community Sunland Springs Village! Gently lived in and turn-key!!! 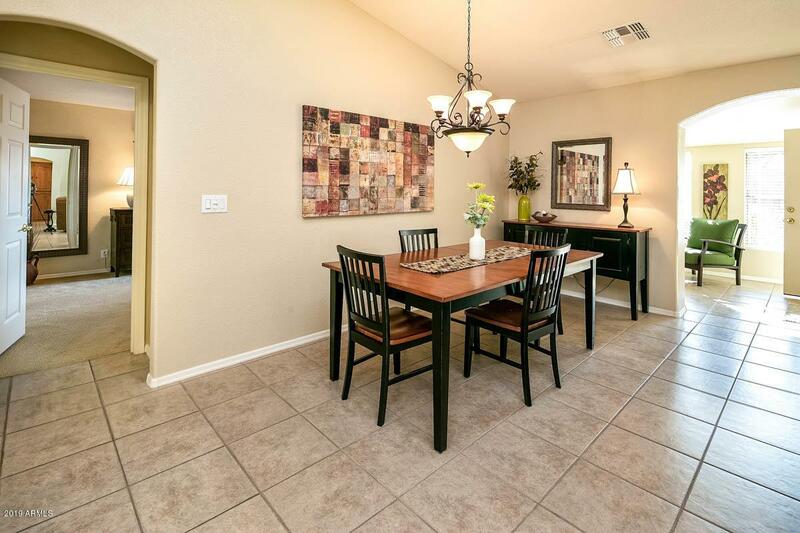 Neutral colors throughout, open great room floor plan with split bedrooms, excellent for entertaining and guests. 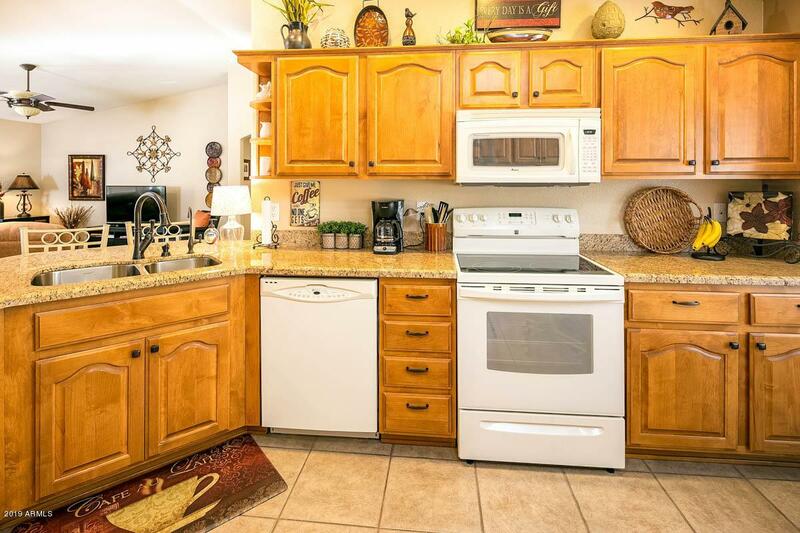 Granite counter tops, alder cabinets throughout, dining room, eat in kitchen and breakfast bar. Tile throughout and newer upgraded carpet in bedrooms. Snail shower in master bath along with his and her closets. Water softener, reverse osmosis, built in cabinets, sink and epoxy coating in garage and driveway. Front and back covered patio with flagstone. South facing back patio to enjoy the warm Arizona sunshine. 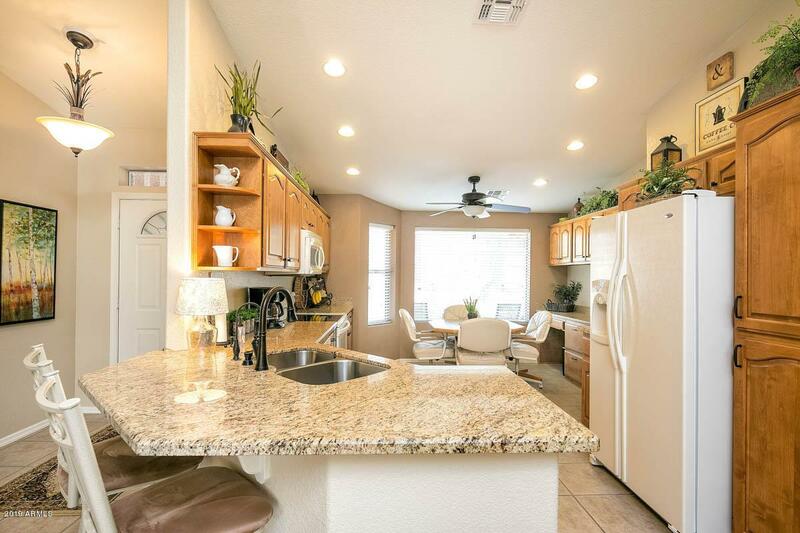 HOME IS BEING SOLD FULLY FURNISHED INCLUDING GOLF CART!!!! Must see to appreciate! Bring your most particular buyers!